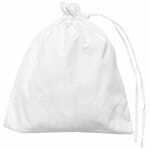 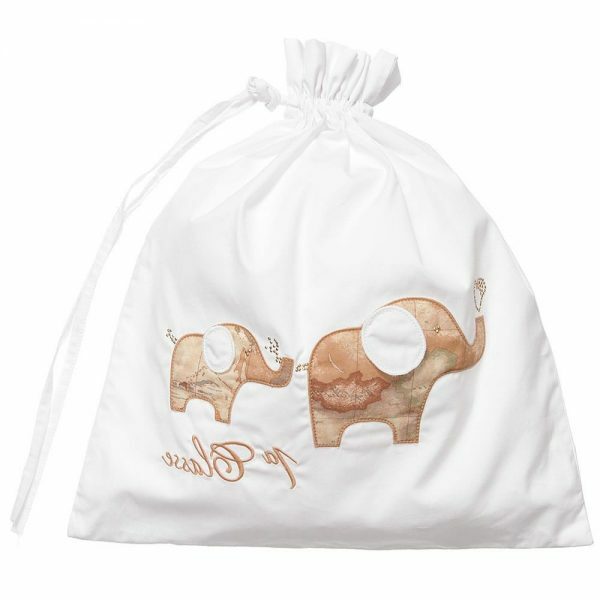 Alviero Martini white drawstring nursery bag is perfectly suitable for both boys and girls. 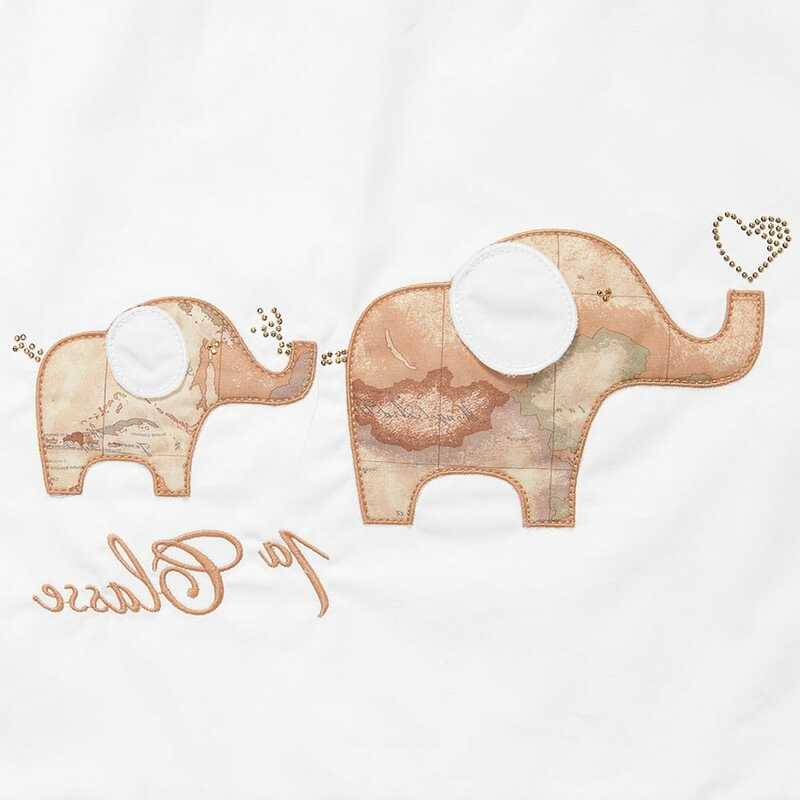 It is made from soft cotton and decorated with cute elephants in map printing on the front. This item will help you to keep the nursery tidy. The machine wash (40*C) can be used. The size: 28cm x 34cm.